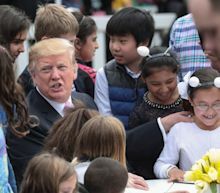 President Trump on Monday welcomed thousands of children to the White House for the annual Easter Egg Roll, and took advantage of the opportunity to tout his long-promised wall along the U.S. southern border with Mexico. “Oh it's happening, it's being built now,” Trump told one boy as he colored pictures with a group of children on the South Lawn. 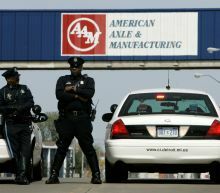 While Trump likes to say the wall he promised to build during the 2016 presidential is “being built,” in reality the work being done is on existing fencing that was built during the George W. Bush administration.